The way is clear for Search and rescue to return to a re-opened Manston Airport. That is the real significance of the announcement made yesterday by the minister of state for Aviation, John Hayes, during his visit to Thanet yesterday, says North Thanet`s Roger Gale. That is the basis upon which the Minister of State has felt it possible to say that there will be no risk to Thanet . I do not believe that the situation could now be clearer. 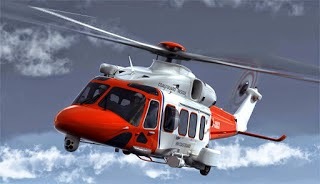 See earlier Bristow SAR story for background reading. This is indeed very good news on a lovely spring day. UKIP Playing Politics with Manston?